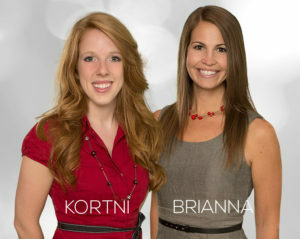 Kortni Odiorne and Brianna Richardson, manage all of Rick’s transactions and are also full time Realtors. They know the process of buying or selling Real Estate can be stressful, so their number one goal is to make this a fun and exciting experience. They work as a team to provide you with topnotch Real Estate service around the clock, all for the price of one. Not only do they work as a team in their professional careers, but outside of work they are like family, which is something that is very important to them. They strive to treat each of you like they would their family, making you feel comfortable and at ease when you work with Them. They are dedicated to you and they will be with you every step of the way, and long after closing to assist you with all your Real Estate needs. You can always depend on them as your trusted advisers and they are here to ensure that you are well informed on all fronts. They truly have your best interest in mind. Whether you are buying or selling they promise to work diligently to guarantee that you are getting the most out of your Real Estate transaction!